It is unusual to see so many different bird species eating together at the same pond in close proximity. The tide was right and the fish were there so the birds gathered. 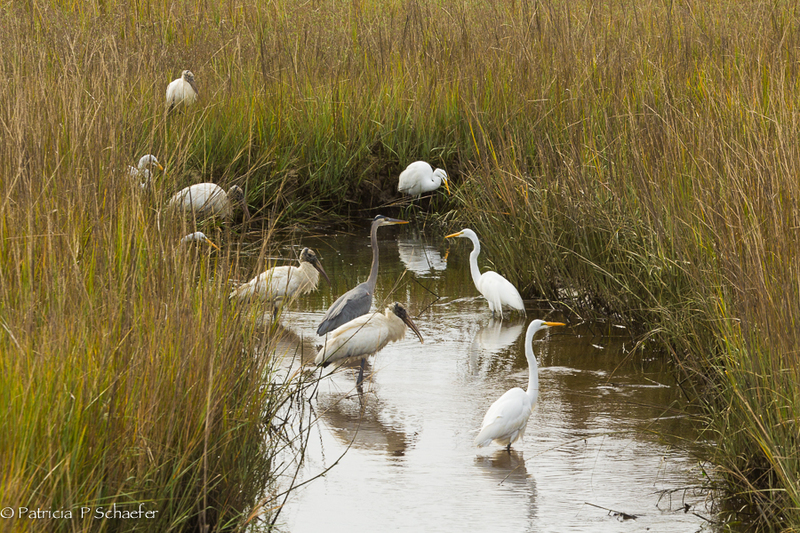 Egret, wood storks, pelican, and the great blue heron all gathered for brunch on Seabrook Island, SC on this warm winter day.